DSP Nnamdi Omoni, the Command’s Public Relations Officer (PPRO), confirmed this in a telephone message to newsmen in Port Harcourt. “There is calm in the four LGAs; there is no report of any incidence for now. “Police personnel and officers from sister security agencies are on ground to ensure that the election is conducted in a peaceful atmosphere,” he said. 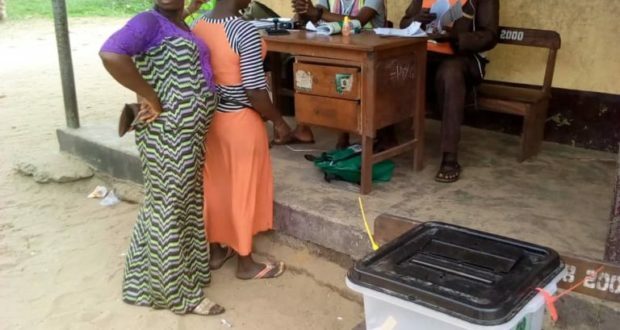 INEC, Head of Voter Education and Publicity in Rivers, Mr Edwin Enabor, said that senior officials of the commission were going round to monitor the election. “The election is ongoing, and there is no case of violence incidence for now; we are keenly monitoring the process,” he said. Enabor said that supplementary election was going on in all the units of Abua/Odual and Gokana LGAs, but in Ahoada-West and Opobo/Nkoro LGAs, the election was being conducted only in the affected units. He explained that in Opobo/Nkoro and Ahoada-West, results were collated during the general elections but the margin of lead in the two constituencies was less than the number of voters in some units. The INEC head of voter education and publicity said that voting would end by 2p.m except in areas were challenges would be encountered.